Are you always looking to improve your car and create the ultimate speed machine? Well then the Mechanic Shop is the place for you! 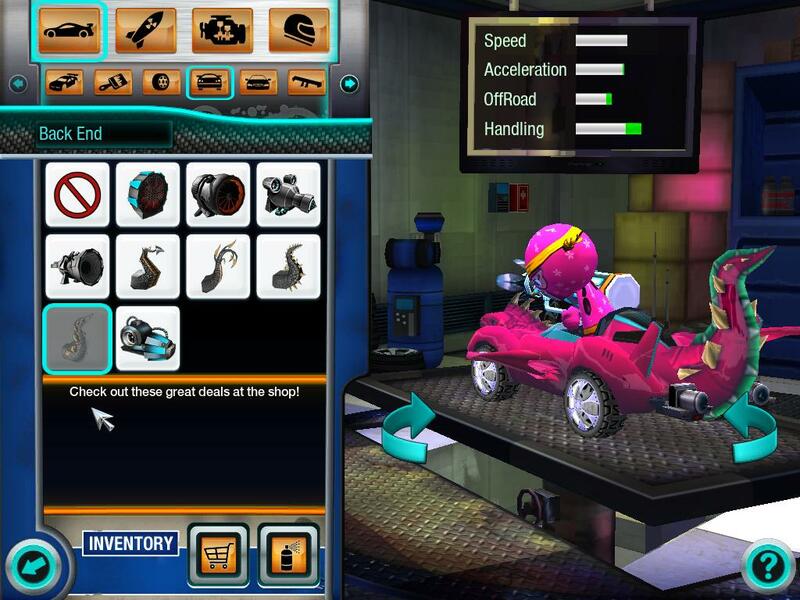 Whether you need to boost your speed, tackle off-roading or increase your handling, the Mechanic Shop can help! 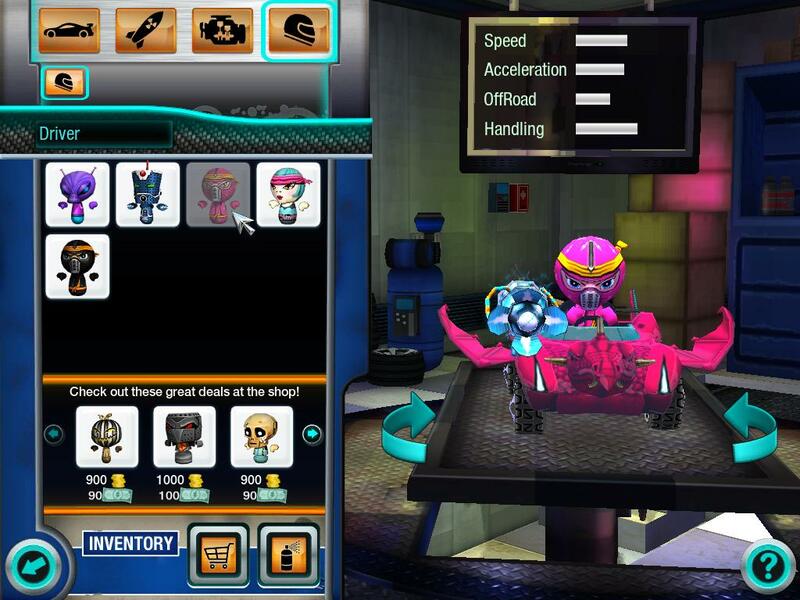 Play around with new body parts, wheels, spoilers and more to give your car the competitive edge you need. As you test out different parts on your car, the box in the upper right corner will show you how the part helps or detracts from your car. Once you’ve got your ideal car, add cool skins to perfect the look and top it off with new weapons and ammo to take out the competition. However, to unlock the ultimate prizes, you’ll need Turbo Bucks. These can be bought in-game and give you access to top-of-the-line gear – no matter what your rank! Now, all you need is the perfect driver and you’re ready to race! Who will you choose to bring on a victory? What’s your favorite feature on your own car? Let us know! Test Your Skills With These Tough Tracks! No matter what kind of weather the track is having, the brave drivers of Eat My Dust never take a break! 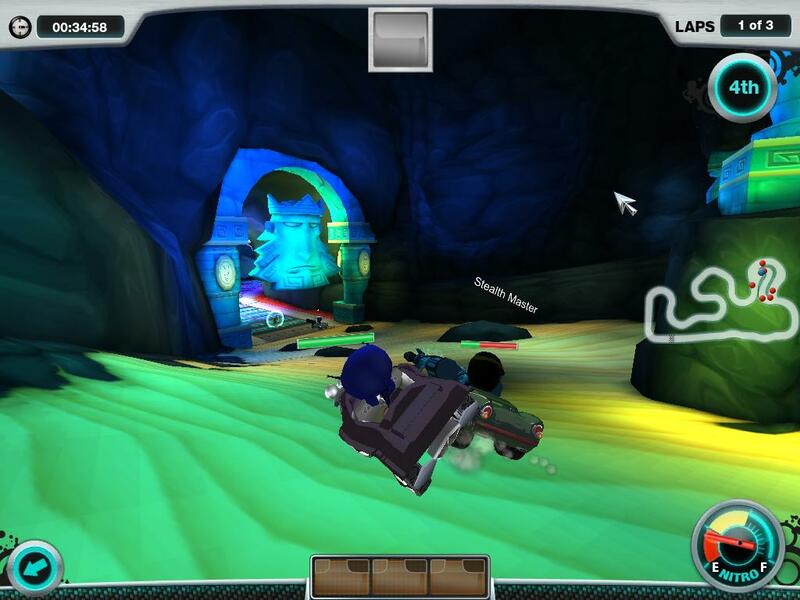 Through the dark caves of the Dino Crystal Caves tracks, the wet and slippery Underwater speedways, the dry and deserted Egyptian ruins or the icy Snowy Peak raceways, they keep competing and so can you. 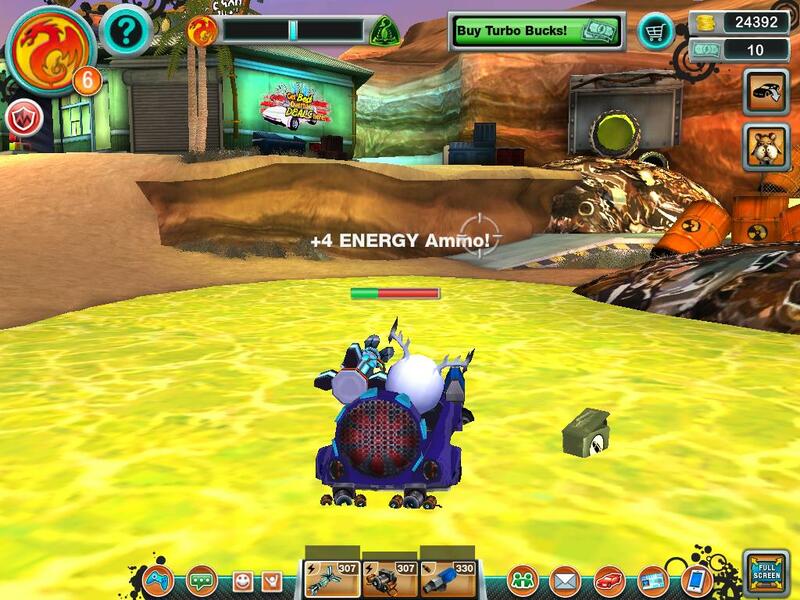 These underwater tracks take skill and determination to finish on top, have you mastered them yet? Avoid the electrical shocks and other hurdles as you race around this aquarium floor. You’ll have to dodge 8 legged creatures, shocking obstacles and dark caves in this race across the aquarium floor. You’ll need more than just speed to win this rough race. Try not to get turned around in this tricky underwater track. 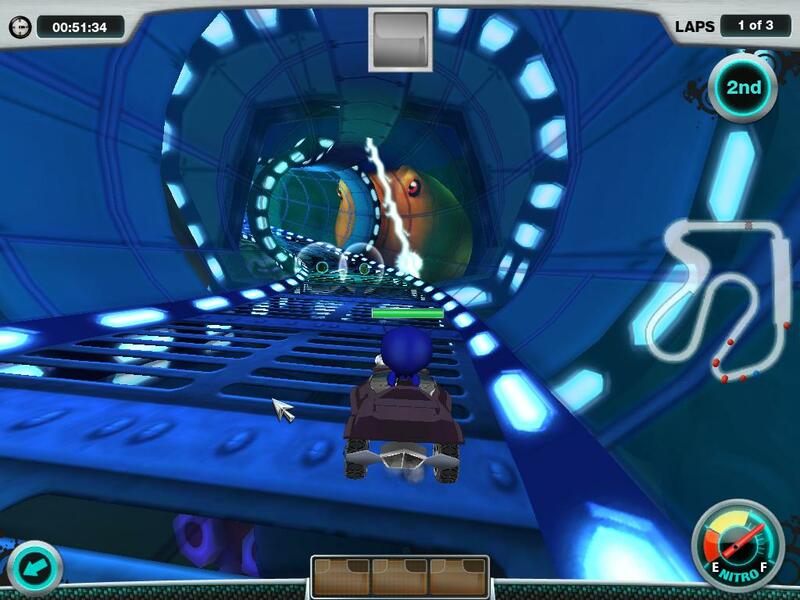 This dark tunnel’s ups and downs will send you spinning – can you keep control and first place? Make sure you stay above the lava and ahead of the competition when this race heats up. 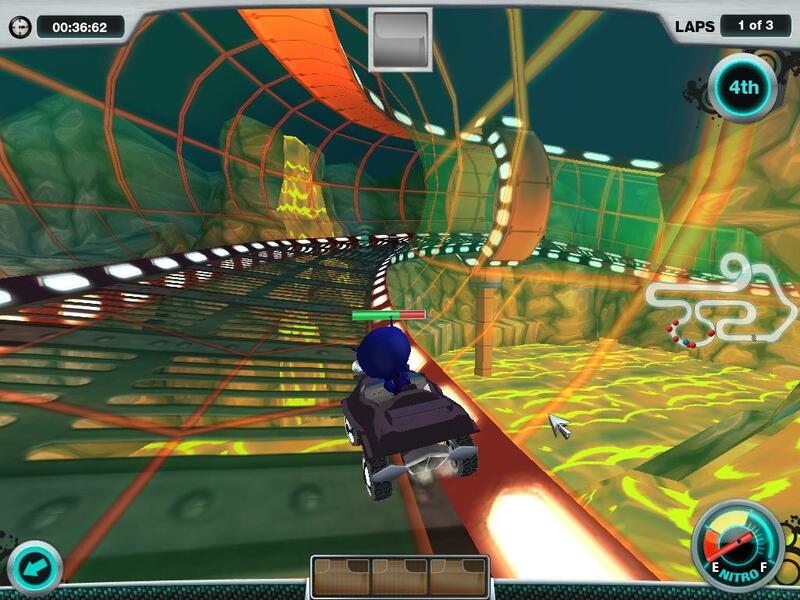 Volcano Speedway is a filled ith underwater tunnels, risky loops and burning lava. It takes some skilled driving to avoid getting burned by the competition… can you take the heat? 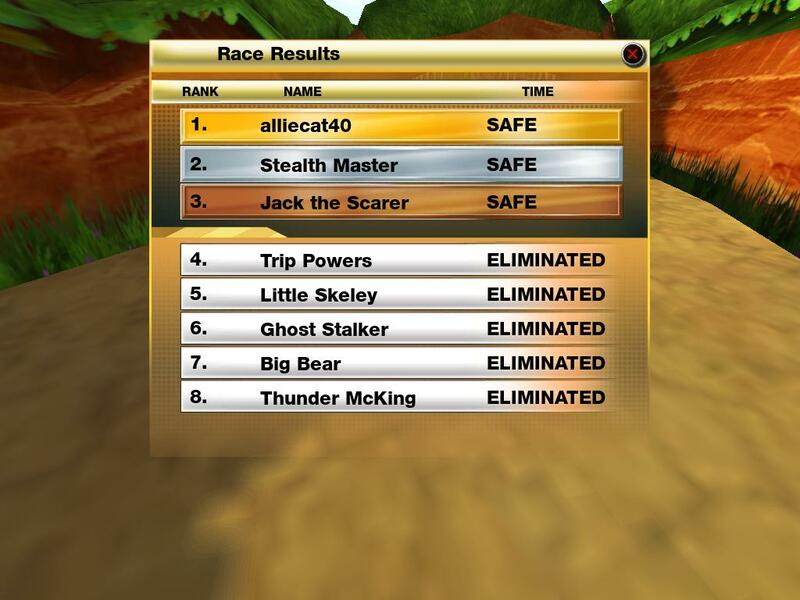 That was just a preview of the twisting tracks that lie ahead, so you have what it takes to win them all? On Your Mark, Get Set, Knockout! Do you think you’re one of the best drivers around? 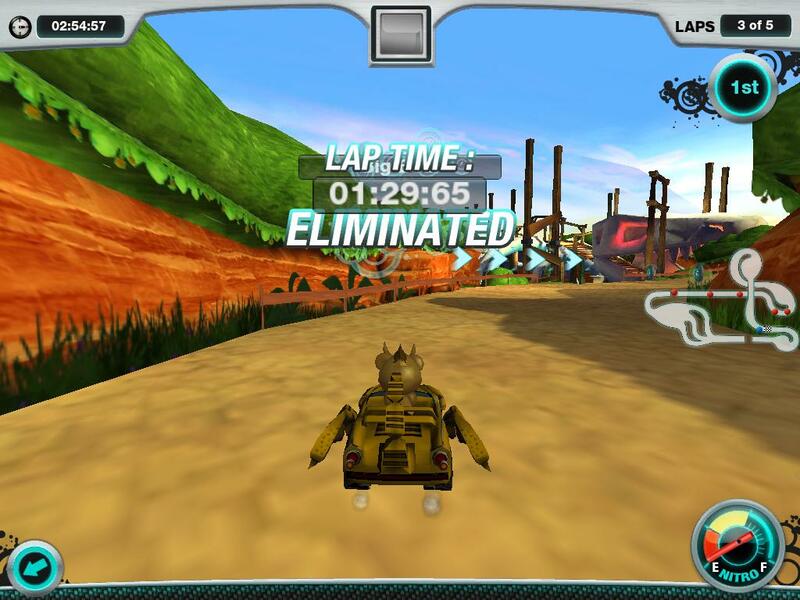 Now you can prove it with Eat My Dust’s ultimate do-or-die racing mode: Knockout. In this cutthroat competition you must beat out your friends or be eliminated… Are you ready? Knockout racing takes the competition to the next level. Compete against your friends – but don’t be the last one to cross the finish line! The last place racer will be eliminated from each lap, leaving only the top competitors to compete in the final lap for gold, silver and bronze. In the fast-paced game of Knockout, you have to stay ahead to stay alive… Can you handle the pressure? Amp Up Your Garage Today! You push yourself to the limit while you’re burning rubber around the tracks at turbo speeds, so why shouldn’t you make sure your garage is always operating at full voltage? 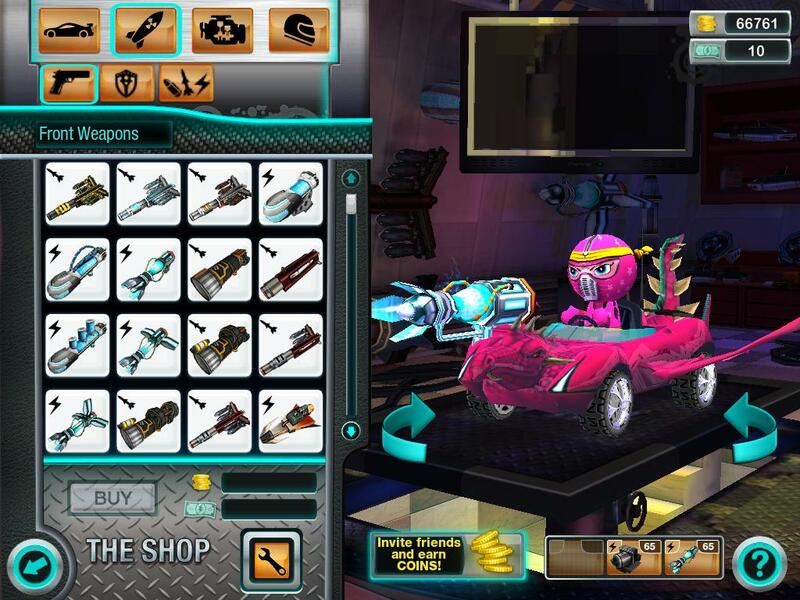 When you go to your garage to juice up, you can customize your car with the latest and most powerful weapons, replace old parts so your car can compete at hyper speeds, and even decorate a space where you can refuel when you’re not fighting off zombies or flying around the track in your amped up hot rod. 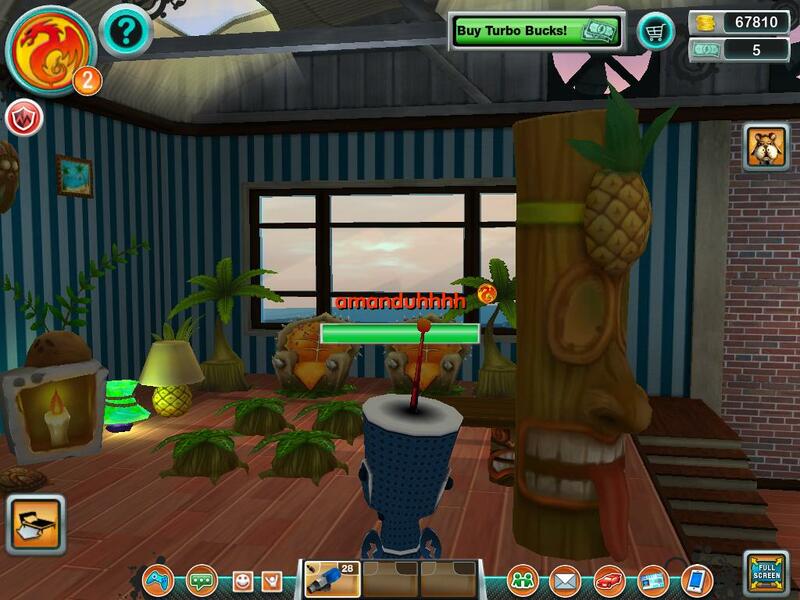 Visit “My Garage Shop” to get all the latest room decorations, furniture, gadgets, and wallpaper. Your garage will stand out amongst all your friends’ garages if you can unlock the hottest items in Eat My Dust by moving up in the ranks. Head over to EatMyDust now to update your garage! Ammo and weapons are not the only things that you can use to take down a zombie in Eat My Dust. Now, you can even use your custom cool car to run them down! So hold back on your shot and hit the gas pedal because with each hit you’ll have the opportunity to cruise your way into some awesome ammo packs! How do you usually handle a zombie run-in? By now you and your friends probably know how to handle a zombie run-in. And although, some old habits may be hard to break, this new trick is worth the effort. For the best results, throw your car into reverse and then take the zombies out with a few high speed swipes. Pick up some sweet rewards for using your car! Each hit will have their meters running down to red. And before you now it, you’ll have nothing but an ammo pack and a few coins to pick up! 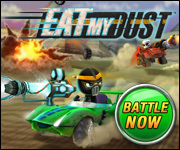 Log in to www.EatMyDust.com to try it out and make every hit count! Get Ready to Capture the Flag! Your team will always have your back in Eat My Dust, but from time to time you’ll have to strike out on your own to climb up the ranks! And soon you’ll be able to see if you have what it takes to put aside your differences with those rival racers and play a round of Capture the Flag. When the game arrives, you and your friends will be split up on two teams. To keep things interesting, these teams will be picked at random so dragons could end up working alongside scorpions and scorpions with dragons. Now, for some of you, the biggest challenge might just be getting along, but in this game you’ve got to be able to do anything to capture that flag! When the wheels start rolling, each of the teams will have a home base where their flag is flown. 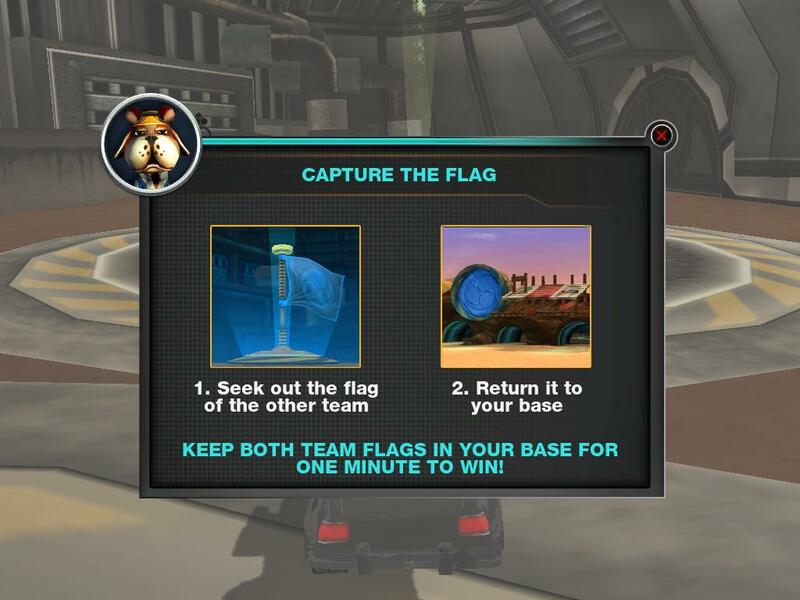 And the end goal is simple, find the other team’s flag and return it to your base. You’ll even have a few opportunities to pick up some extra ammo as the battle rages on, so keep an eye out for some sweet pick ups! Before all is said and done, you’ll need to fight against the odds to win top honors. 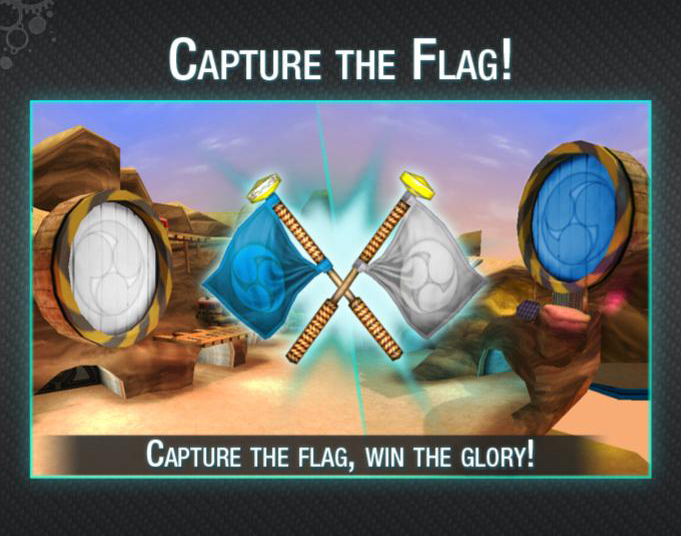 After all, there’s always a chance for the flag to be stolen or dropped before you make back to your side of the arena. To end the game with a win, your team will need to keep procession for at least a minute! Think you’re up for the challenge? Then head over to Eat My Dust later this week to play Capture the Flag! In the end, you might have something to brag about. Top racers know how to keep to the front of the pack, no matter the road conditions. And on the Inuit Raceway, you’ll need to keep your speed up while racing on ice covered roads! Do you have the skills or horsepower needed for a first place finish? 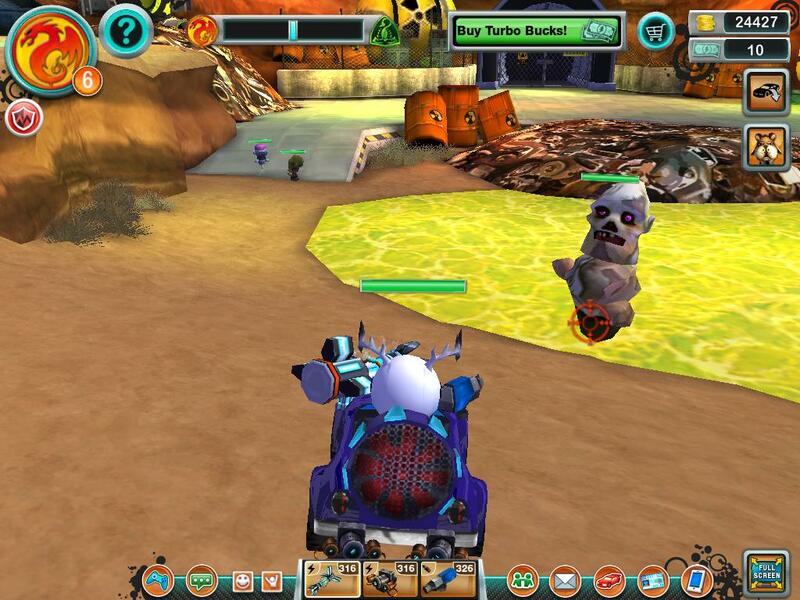 Stop by Eat My Dust with your friends to check it out! As it is, speed and ice can be a pretty dangerous combination. But if you’re ready for more of a challenge, you can always up the ante with a “Knock Out” style race. 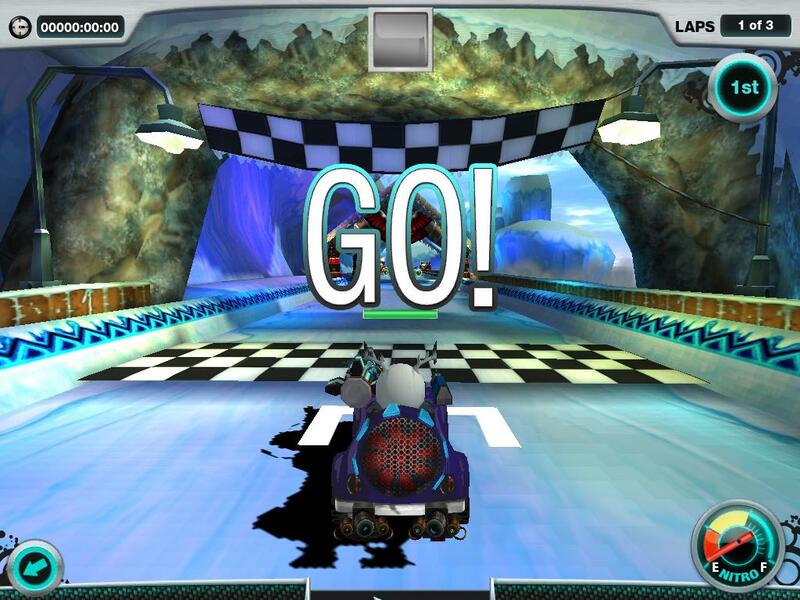 Either way, the slippery slopes won’t be your only obstacle when tackling the track. Behind every corner of this arctic arena, there lays a few race ruining roadblocks, so watch out! Want to know more about the Inuit Raceway?